Twitter is turning 7 years old today and we are getting twitter moment highlights on the timeline today. Moments range from the first tweet to ever to on what wasn’t actually a timeline yet to first tweets by celebrities. Also in the line-up is the most retweeted tweets and some history about twitter. You can follow all this on this hash tag #twitter7. That aside, there is something that could be cooking closer home and related. Several twitter users in Kenya have reported seeing local trends, something many have been seeking for quite a long time. Kenyans pride themselves to quite enough global trending topics going top, sometimes even taking the whole list of ten trending topics with hash tags and tweets originating from Kenya by Kenyans. 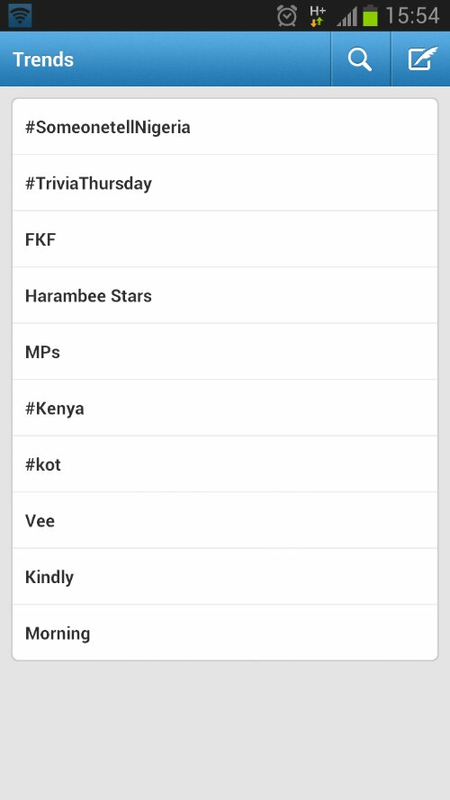 This has made many Kenyans feel that Twitter owes them a local trending topic as they are quite active. Currently only Nigeria and South Africa have a local trending topic in Africa among global giants. Kenya has from time to time topped lists of the country with most tweets in Africa, so it wouldn’t be such a nightmare for twitter to grant Kenya that one wish that has been in their hearts and tweets. What do you think? Kindly shows the politeness more.